Going to the cinema can often be an expensive event, especially if you have a large family. So why not check out our guide and see the latest blockbusters for a fraction of the price. After the success of the the “Fiesta del Cine” previously held once a year, from 2014 it will be held every six months. Most cinemas still have a special “Día del Espectador” – that’s a designated day of the week when tickets are cheaper, normally Wednesdays or Thursdays. Check out your local cinema for details and also ask whether they have special prices for children, over 60’s / 65’s or the unemployed. Additionally if you have a Youth Card (anyone under 31) most cinemas will have a special rate for card holders. Although we can’t cover every local cinema in Spain, here’s a guide to some of the biggest names where you’ll often be able to find films in their original language (look for V.O. or versión original next to the title) or be brave and watch it in Spanish (some cinemas even show Spanish films with subtitles too). Every Wednesday tickets for only 3.90€ – buy online (no commission) to be sure of getting a ticket. Tickets for 4€ on Mondays and Thursdays for under-25’s. Free popcorn on your first visit. The Cinesacard costs 1€ and can be requested online. 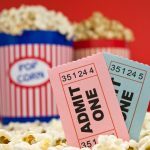 Some Cinesa cinemas also offer a family pack, for 2 adults and 1 to 4 children under 13 years old with prices at 6.50€ for adults and 4.50€ each child. If you invite your friends via Cinesa’s Facebook app, you can get tickets for only 5€ each (group size from 4 to 8 persons). CineBox can also be found at many different locations across Spain. They have the same deal on Wednesdays as Cinesa, tickets for 3.90€ each. If you visit their promotions page you can find their current promos, including if you return within 15 days of a visit (need to take your ticket from that day) you can see another film for only 5€ – valid every day but must be at the same cinema and you can’t buy online. Their Fidelity card is free, you just need to download the form, fill in and take along to the cinema the next time you visit. You get points for every euro spent on tickets (up to a maximum of 4 tickets per day) and these points can be exchanged for snacks, drinks or free tickets. Same deal on Wednesdays as Cinesa and CineBox, tickets for 3.90€. At Yelmo Cines you can request their free MovieYelmo card and accumulate points every time you visit – one point per ticket, up to a maximum of 4 points per day. Points can be used for tickets or popcorn and you’ll also get exclusive info with promos, competitions and more. If you join their Friends Group (Grupo de Amigos) you’ll get information about promos and invitations to special events. KineCinco – 5 tickets for 35€ in Granada, 42€ in Valencia or 44€ in Madrid. Must be used within 2 months, surcharge for films in 3D. KineDiez – 10 tickets for 60€ in Granada, 74€ in Valencia or 77€ in Madrid. Valid for 3 months, surcharge for films in 3D. Kine3D – 10 tickets for films in 3D, including glasses. Costs 80€ in Granada, 92€ in Valencia and 95€ in Madrid. Valid for 6 months. KineFamilias – 5 tickets for the same price as the KineCinco but also offers 10% off at Kinepolis shop (popcorn, drinks, etc.). With every 3 used cards (total of 15 tickets) you get 2 extra tickets free. KineFamilia cards are valid every day in the summer and expire after 3 months (surcharge for films in 3D). All saver cards must be bought at a Kinepolis cinema, but once you have one it can be used online. 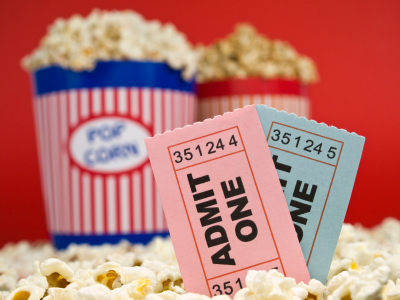 Remember that websites such as Oportunista or UrbanCheck often have coupons for cinemas with no prepayment. Just download a coupon for each person and present at the cinema, as normally you won’t be able to use these coupons online.